Slow and steady wins the race, so the saying goes, and after you taste what your slow-cooker can do, you just might make that fabled saying your daily mantra. Get in the back-to-school swing with these simple suppers that are sure to please the whole family. Switch up your go-to slow-cooker meals and go for a cheesy pasta dish that's loaded with hearty sausage. It's a great option for the entire family, and you can take the leftovers for lunch the next day. Oven-baked meatloaf can turn dry, but the moisture-sealing magic of the slow cooker makes this one melt in your mouth. This creamy soup makes an indulgent but not too heavy meal on a hot summer day. Pick the freshest sweet corn you can find. This slow cooker pork carnitas recipe is a perfectly simple and inexpensive way to feed a crowd. Set out a stack of warm corn tortillas along, with a few simple toppings, and allow everyone to pile on the unbelievably rich and tender pork as they please. We love the heat level in this slow cooker take on tikka masala. If the spice kick is too much for your family, you can cut the red pepper down by half without losing any of the dynamic flavor layers. Spend 20 minutes in the kitchen prepping this gorgeous, hearty sauce. Once the sauce simmers in the cooker, all that's left to do is cook a pound of pasta, and serve. The way to the family's heart is, well, through its stomach! Make a classic chicken and dumplings recipe even more Southern by topping the vegetable-and-chicken-packed stew with cornbread dumplings. The low, even heat of the slow cooker helps flavor powerhouses like miso, sesame oil, and soy sauce impart tenderizing moisture, umami depth, and savory personality to common pot roast. Great for a game-day get-together, this hearty and creamy soup feeds a crowd with little hands-on time required. The slow cooker makes fall our new favorite season for barbecue. This pork shoulder simmers in a vinegar- and ketchup-laced liquid until tender and juicy. Top with pickled red onions. Pile the pork onto game-day sandwiches or baked sweet potatoes. Set your slow cooker on low and go on about your day knowing that dinner is gonna be delicious. In this simple set-it-and-forget-it dish, beef chuck roast cooks in a flavor-packed rosemary marinade, full of fresh rosemary leaves and onions for a succulent, highly comforting entree. The habanero pepper delivers a detectable heat, but the spice factor is not overwhelming. However, if you’re sensitive to heat, use a quarter of the pepper instead of half (or omit it altogether). The remaining liquid in the slow cooker can be cooked down on the stovetop into a rich, flavorful gravy to top the beef, along with your favorite starchy side—rice, mashed potatoes, or roasted sweet potatoes would all make great options. For a classic summery meal without a fuss, look no further than this slow cooker shrimp boil. With a simple ingredient list and a largely hands-off cooking method, this easy seafood boil is a perfect recipe to plan on for casual warm weather entertaining or even as a low-effort meal to make at the rental house during a beach vacation. We opted to pull the corn out after 30 minutes of cooking as we preferred it on the crisp side, but as long as your slow cooker is large enough, feel free to leave it in the pot as the shrimp and sausage cook. This recipe was adapted from Cooking Light's wildly popular Classic Slow Cooker Beef Stew to create a simple, speedy version of a comfort food favorite. As the original recipe notes, a nutty dark beer adds richness and depth to the stew, but be careful not to choose a beer that's super-hoppy; it will taste too bitter. Sloppy joes are easy to prepare and budget-friendly. For this super-easy, hands-off recipe, throw all the ingredients together in 15 minutes and let your slow cooker do the rest of the work. This is our A+ recipe--just like the one's your mom used to make. Three family dinners start with this one recipe for succulent and tender 5-Ingredient Slow-Cooker Pulled Pork. Canned whole peeled tomatoes work best in this delicious sauce. Use a pair of kitchen shears to coarsely cut them in the can, or squeeze them by hand. Think outside the "dish." You can enjoy the flavor and texture of enchiladas in a slow cooker; just stack the tortillas instead of rolling them. We suggest lining your slow cooker with a slow-cooker bag so you can easily remove the stack from the cooker. Canned tomatoes mean you can enjoy Creamy Tomato Soup all year long. Serve this slow-cooker soup on its own or alongside gooey grilled cheese for a go-to weeknight meal. You can never go wrong with comfort food! This slow-cooker version of the fan favorite King Ranch Chicken Casserole is sure to please the whole family. Who wouldn't like to come home to falling-apart tender chicken simmering in salsa and spices? 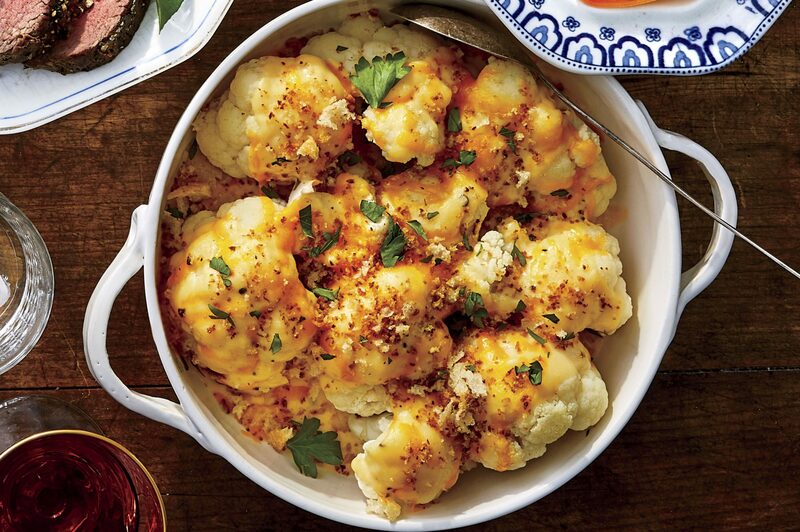 Serve this saucy dish over rice or stuffed into tortillas with your favorite taco toppings. With a different and delicious Asian-style glaze, these meatballs are a tangy addition to your family table. Serve these kid-sized meatballs with steamed rice and sautéed snow peas. You already love pulled chicken, so why not try it in a slow cooker? Savor this tender, melt-in-your-mouth chicken sandwich with homemade ketchup-based sauce for lunch or dinner. You only need 6 ingredients for this slow-cooker vegetarian pasta recipe that's perfect for weeknight dinners. Two jars of marinara sauce and three kinds of cheese provide satisfying flavor in this version of the classic dish. Use your slow cooker to make a traditional shepherd's pie that's filled with lean ground beef and vegetables and topped with creamy mashed potatoes. This regional favorite is characterized by its unique combination of seasonings. Chili powder, cinnamon, allspice, cayenne, and cocoa powder add tremendous flavor to lean ground beef. Serve topped with cheese over thick spaghetti for an authentic Cincy experience. Serve the chicken over steamed rice to savor every bit of the sweet Asian glaze. This classic dish is a slow-cooker must-have on your weeknight meal planner. This classic soup gets a double hit of cheese--stirred into the soup and sprinkled over the top. Weighing in at less than 300 calories, you can feel good about serving your family a healthier option tonight. Nothing says "Southern hospitality" quite like a hearty bowl of grits. This 20-minute recipe is perfect for busy families that eat dinner at different times, as your slow cooker is used to keep the grits warm. Set out a toppings bar so each family member can customize his or her bowl. Step aside, ground beef, because turkey is taking over this taco night. Serve the shredded meat in taco shells with your favorite toppings or try it as a taco salad. Essential to this recipe, the thickness of the pork chops ensures that the chops stay tender and juicy throughout the long cook time. Mashed sweet potatoes and sautéed Brussels sprouts complete this comforting meal. Leaving out the chicken doesn’t make this dish any less filling or tasty. The medley of vegetables topped with a fluffy and savory biscuit create phenomenal flavors and will appease every one in your family. 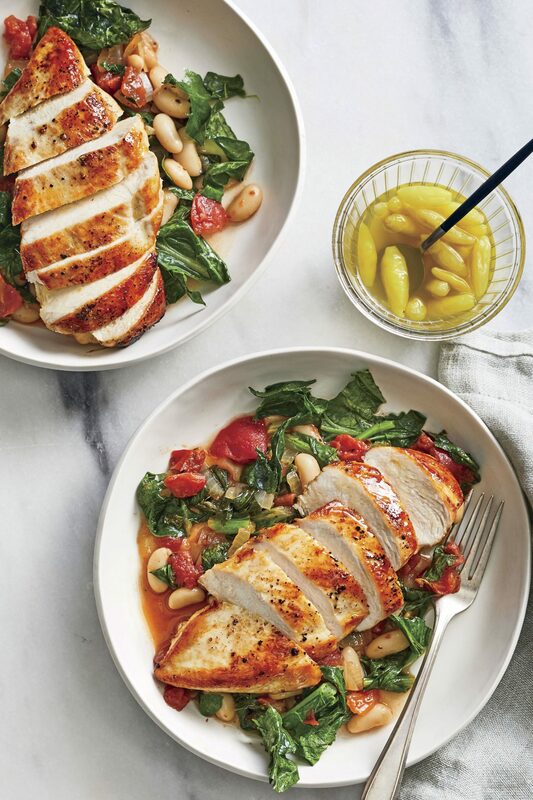 For a flavorful chicken dinner, serve this Tuscan-flavored chicken with a tomato and white bean mixture. Simmer bratwurst in the slow cooker along with sauerkraut, apple, mustard and brown sugar to add rich, deep flavor to the sausages. Serve on buns for a hearty main dish. These easy slow-cooker turkey meatballs are the perfect choice for busy weeknights. Serve over mashed potatoes with a side of corn. Using Italian and Cheddar cheeses updates this mac and cheese dish that is sure to please kids as well as impress adults. Lean ground turkey is bulked up with onion, crushed tomatoes, low-sodium beef broth, and kidney beans. Topped with a super simple cornmeal crust, this is one meal your family won't soon forget. We were surprised and delighted by how well lasagna cooks up in the slow cooker. Be sure to use traditional noodles, and place them in the cooker uncooked. This 5-ingredient vegetarian meal bubbles away in the slow cooker for hours, resulting in a delightfully cheesy, layered weeknight dish. A simple green salad rounds out the meal. Have dinner ready when you come home with this ultimate slow-cooker Jambalaya recipe. Featuring chicken, shrimp and smoked sausage, this classic Creole rice dish is perfect for the slow-cooker as all the flavors blend together over time in a marvelous way. Lighten up a family favorite with lean ground turkey. Slow cooking the meat allows fantastic flavor to develop, so all you have to do is pile it on whole-wheat hamburgers buns and dig in! One of those “killer” recipes that will wow any crowd, this 9-ingredient chili relies on pantry staples including canned white beans, broth, and roasted chilies. To build rich flavor, the chicken and onions are browned first in a skillet with garlic and cumin. Turkey Meat Loaf with Cranberry Glaze delivers those favorite Thanksgiving flavors, even when November is months away. Continue the theme by serving the meat loaf with mashed potatoes and gravy. For a main dish, split the potatoes from the top, and open slightly; pile on more toppings, and enjoy the entire potato. You could also serve the potatoes topped with chili for a heartier meal.